Classic Violins is official dealer and carrier of double basses by Eastman Stings and Concord Group's Christopher brand. We work hand in hand with the customer in order to help you pick the right combination of quality and price. Whether you are an aspiring bassist or someone who is ready to move on to a professional grade fully carved bass -- we are here to help you! The instrument that we hand pick from the distributor will be setup at our shop by award winning luthiers and violin makers and carry the 1 year warranty on manufacturer's parts. 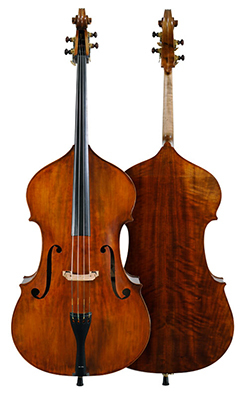 GIve us a call or drop us a line if you're interested to find out more about purchasing a double bass through Classic Violins. 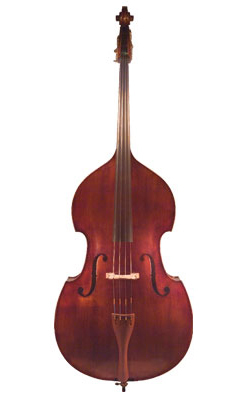 We also work with other national or international brands that offer double basses. Rudoulf Doetsch basses are crafted in Germany from European tonewoods. They are then sent to Eastman Strings' workshop, where adjustments are made for optimum tone and playability.Their trademark antique-style spirit varnish is then applied by hand. Every step of the way the Rudoulf Doetsch basses are in the hands of experts. Tonal adjustments made and antique-style varnish applied by hand in the Eastman Strings workshop. Standard pattern is violin- corner. Gamba-corner is occasionally also available.